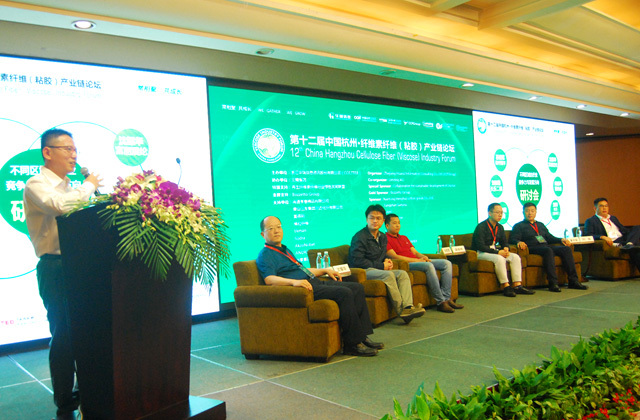 The discussion session was chaired by Ding Jinqi from Huarui. 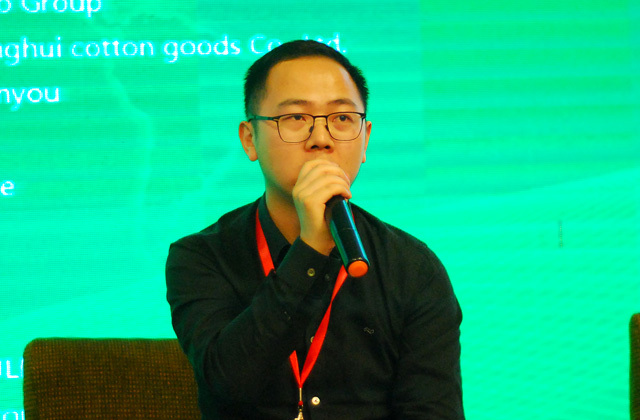 Su Jianjun from Dezhou stated that Hengfeng had capacity of 2.8 million spindles currently and 2000 knitting machine and cooperated with Lenzing. He was optimistic about the development of cellulose fiber. Shen Yaohua from Fuli Zhenlun shared the status in Xinjiang. Capacity growth in Xinjiang might not bring pressure on spinning industry and might result in some differentiated products. Liu Guoyong from Changle No. 2 Cotton stated that Changle had 36 plants and 7 million spindles. Original products were pure polyester, now mainly viscose, with more high count viscose yarn. 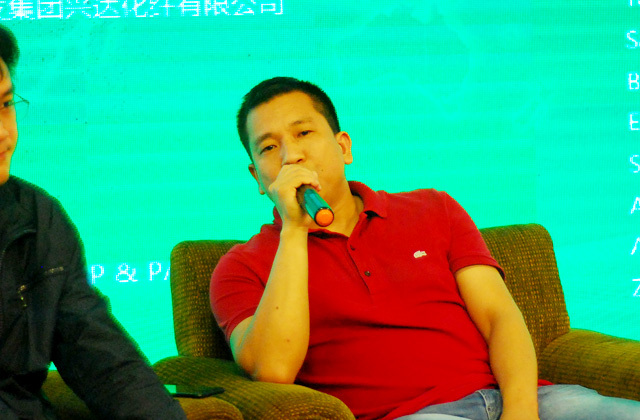 Gong Zhenhui from Pure Fiber, one of the earliest companies in Vortex spinning, introduced Wujiang's regional advantage. Wujiang had capacity of 2 million spindles, and 60-80% was Vortex spinning. 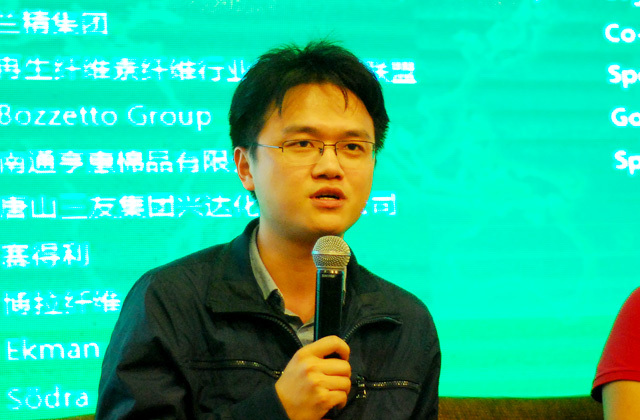 Dong Liangliu from Pengxiang introduced development characteristics of Peixian industry cluster. There were more than 500 companies with 2.2 million spindles of ring spinning. The scale was small, but products were comprehensive, and 90% of the companies produce viscose. 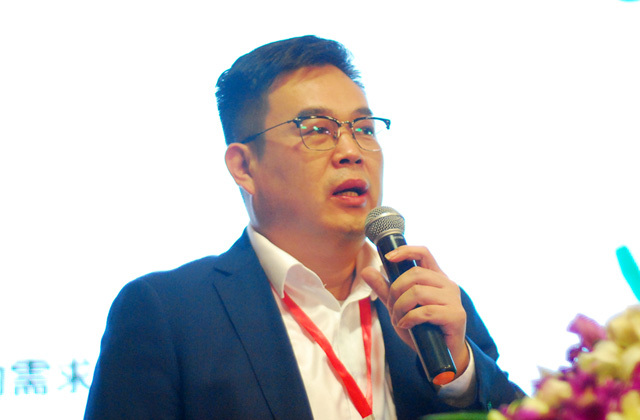 Liu Tao, president of Sateri (Linz), introduced changes of downstream demand and measures to handle them. Sateri was implementing a sustainable and traceable system across the entire industry chain and following sustainable and responsible production was the only opportunity for the industry to develop.